Previous: Getting to know your audience: how and why you shouldBlog indexNext: Do marketers know what to wear? Have you ever been on Facebook, Instagram, Twitter or LinkedIn and seen the word ‘sponsored’ or ‘promoted’ alongside a post or piece of content? 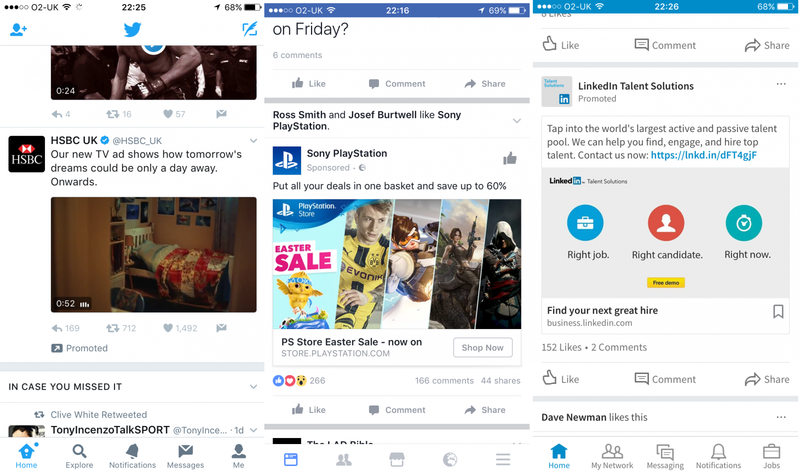 Then it’s likely you’ve seen an example of paid social. Increasingly, brands are turning to social media platforms to generate awareness, engagement and traffic – so it’s no surprise therefore that the number of brands using paid social to maximize their reach has also increased. Unlike organic social media, paid allows you to reach audiences not currently engaged with your brand – and generate new followers or clicks that may otherwise have been lost or taken significant time to gain. Even though the use of paid social is on the rise, some marketing managers still shy away from it. That’s why we’re sharing the top 10 reasons paid social should be a part of your digital marketing mix. When you target people within their social media feeds, you’re showing ads to users who are comfortable engaging with content and leaving the platform for ‘worthy’ content or products. Most paid social ads are now hard to distinguish from organic posts. This not only makes paid social an unobtrusive ad format, but also one with which users are happy to engage. The sites we visit and the information we provide generates a lot of data that can be used by paid social experts. For example, one key targeting option available on social platforms is to target people by their interests. If this is done well, the ads that users will see in their feeds will be relevant or useful and won’t seem out of place with their organic posts. Targeting options are becoming more granular and vary by platform. However, it can be as broad as the football team a user supports to a general interest in crochet. One of the difficulties many small businesses face is reaching new audiences and generating brand awareness. As a small business owner, you could invest all your time and money on organic content or through pay-per-click (PPC) ads – or you could use paid social to generate high levels of brand awareness. For example, a Norwich-based plumber could run a paid social campaign targeting homeowners within a 20-mile radius of Norwich city centre. This approach will generate great brand awareness. And even though the plumber is not targeting those ‘in-market’ for his services (in the same way he can with organic and PPC), it’s likely the reach he generates will result in long-term business. He may even benefit in the short term. Let’s say someone in Norwich sees the plumber’s ad. That person may not need his service right now, but decide to follow his page for future reference. They do, however, remember speaking to a friend earlier in the week who is looking for a local plumber – they tag their friend on the ad, resulting in new business for the plumber. One of the main advantages that paid social has over organic activity is the ability to quickly generate results. With organic posts, you’re limited to showing your message to those who already follow you – and this may initially be small numbers. Depending on your budget, objectives and what you define as a result, paid social can get you in front of the right people at the right time and at a greater scale than you can organically. One area where you can easily focus your efforts and budget is location targeting. How localised you make your targeting will be determined by the minimum audience size required to run a campaign – this is typically 1,000 users on most platforms – and the level of geographic targeting available. 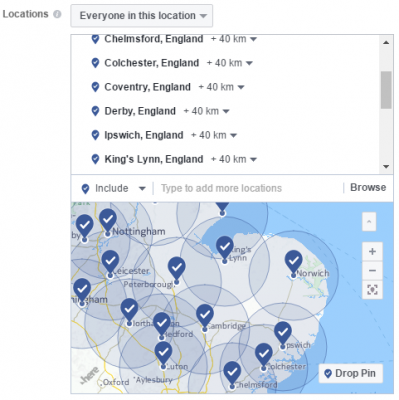 For example, on Facebook you can target cities or towns, or a radius around them, whereas targeting on LinkedIn is limited to the ‘big’ cities you choose. Paid social provides you with insights about your brand and messaging that you may not otherwise have collected. Not only does paid social provide top line data around reach and traffic, but each platform (to varying degrees) allows you to collect data about the users interacting with your brand. For example, you’re typically able to review the performance of ads by users’ gender and age, and depending how you segment your campaigns, their interests. Let’s say you run two campaigns. Both are aimed at the same ages and genders, but you target people with an interest in football for one campaign and rugby for the other. Upon reviewing the two campaigns after 30 days, you may determine that rugby fans have a higher tendency to click-through to your site or engage with your ads. You can use this data to refine your message, your website content and the promotions you run. Another helpful aspect paid social is the ability to measure performance against key performance indicators (KPIs). 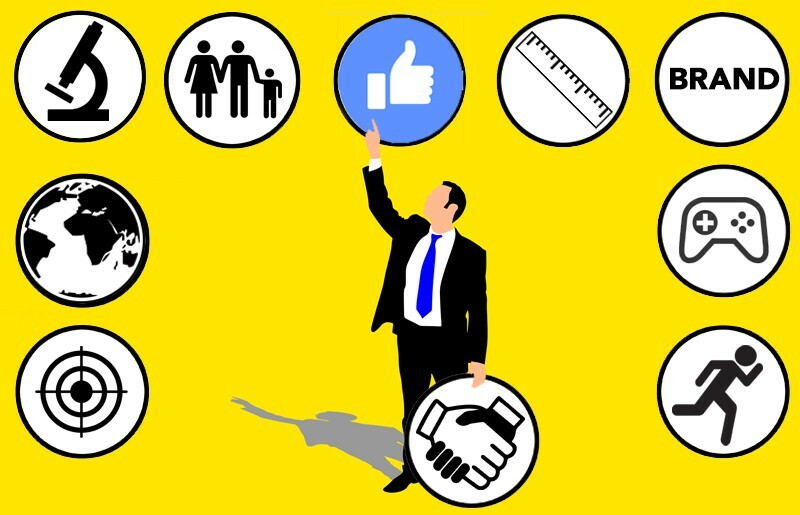 With metrics such as reach, clicks, engagement (likes, comments etc) and spend readily available, you can quickly determine the return on investment (ROI) of individual ads and campaigns. If you are tracking leads, have a cost per lead (CPL) target of £50, and your site on average converts at 1% – you know you can spend up to £0.50 for each click. As you accumulate data, you can monitor your key metrics frequently to spot changes in performance and adjust your campaigns and bids to hit your target. For me, one of the strongest ‘selling’ points of paid social is the ability to re-engage your existing customers or site visitors. You can do this by adding a tracking pixel to your site – this is easily done through Google Tag Manager. The pixel allows you to create, within your paid social platforms, custom target audience lists comprising previous visitors to your site. Remarketing campaigns tend to have higher conversion rates and lower costs per lead (CPLs) than other paid campaigns, and are therefore great at generating cost effective leads or sales. When talking to clients or studying website data, one of the first things an agency can define is the demographic of a typical audience member or customer. Although they may not realise it, users provide age and gender information frequently on social media. 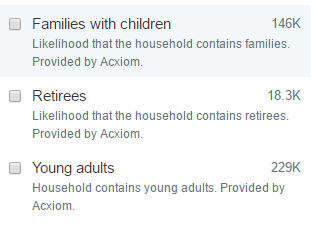 This means that you can use demographic targeting in your paid social campaigns. All platforms allow you to target men or women, or both. Many people wonder if there are any B2B opportunities with paid social. The simple answer is yes, and the one that’s most often used for this purpose is LinkedIn. LinkedIn provides a wide range of targeting options, including company name, industry, company size, job title, seniority, and field of study. LinkedIn provides the most comprehensive targeting options for those in B2B marketing, but it’s worth knowing that Facebook and Twitter also offer a number of career-based targeting options. Over the next few years it’s likely that the social landscape will become more saturated with paid ads. This on its own isn’t necessarily a bad thing, but it’s crucial that the ads and proposition you provide become even more targeted and specific. 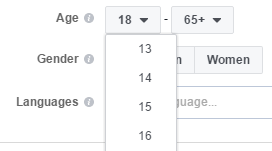 Targeting users by age or gender is not going to cut it going forwards. Clever use of combination audiences (targeting various interest-based and demographic audiences in one campaign), unique and relevant content ads, and enticing offers and calls to action are a MUST if you’re hoping to stand out. Paid social is just one of the digital marketing services offered by Further. To find out how we can to help your business achieve its goals, get in touch with our friendly client team.